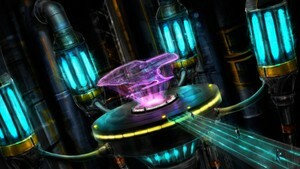 Ever wanted to try and stabalise a warp core, or push a gigantic engine "beyond her limits". Do you long for the heavy thrum of plasma injectors straining under the demands of an insensitive captain's orders. Yes? Then the "Engine Room" is the place for you. But be careful, if you push your luck too far, she really will melt down! Spectacularly!